The Adria brothers cooked together for the first time in seven years at Massimo Bottura’s soup kitchen in Milan, the Refettorio Ambrosiano, today 2 September. 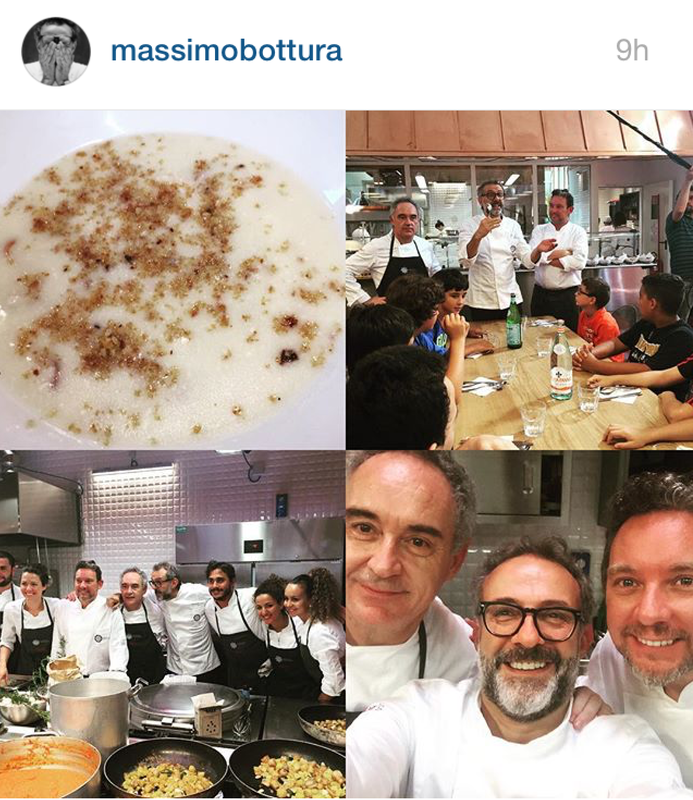 Ferran Adria wrote on his twitter feed that he was supporting Massimo Bottura’s amazing initiative while his brother Albert took to Instagram to say it was amazing how time flies and that it was the first time in seven years that he has cooked with his brother. Foodies around the world would probably have travelled thousands of kilometres and paid hundreds if not thousands to get a taste of Ferran and Albert Adria’s cooking. They have not cooked together since they took different paths seven years ago. Instead, they joined forces with Italy’s top chef Massimo Bottura to feed Milan’s poor using ‘waste’ generated at the Milan Expo. 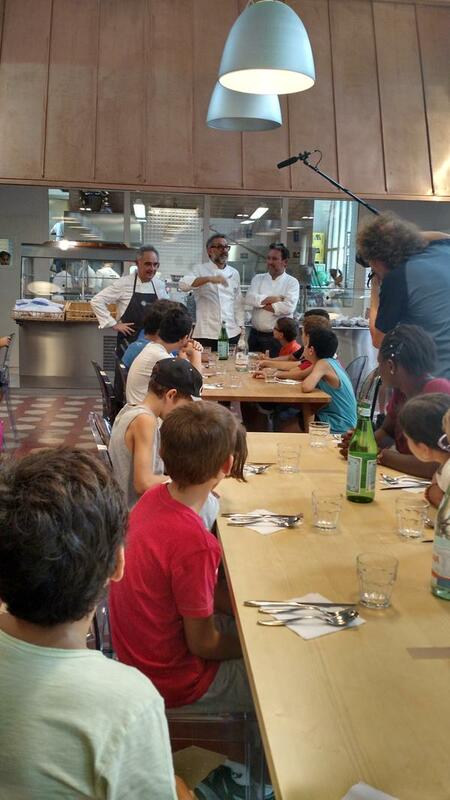 Massimo Bottura wrote on his Instagram feed that they had cooked a chicken nugget that wants to be a soup to a group of children present at the Refettorio yesterday for lunch. He shared the following collage of photos on his feed. While Albert has opened a number of restaurants in Barcelona including Tickets, Pakta, Bodega 1900, Yauarcan among others, Ferran has concentrated on building the El Bulli Foundation, a centre for culinary innovation and Bullipedia, an online food encyclopedia. El Bulli, the legendary restaurant that has been the learning centre for so many of today’s top chefs in the world including Massimo Bottura, closed in 2011. The Refettorio Ambrosiano is a soup kitchen that was opened in Milan by Massimo Bottura to serve those in need as well as to educate people on food and human nourishment in view of the Milan Expo 2015. The refectory is being run by the Archidiocese of Milan and Caritas Ambrosiana. It seats a total of 90 people and serves hot meals to those coming from Caritas parish counselling centres, its more targeted services and its Rifugio, or night shelter for the homeless at central station. You can donate to this worthy cause using the following link.